Don't miss this classic 1990s Wolverine, bub! In his "tiger stripe" costume popularized by X-Men: The Animated Series. This statue is big, beautiful, and complete with metal claws! Inspired by the cover art for Old Man Logan Vol. 2 #23. Digitally sculpted and hand painted, every piece is hand numbered with a certificate of authenticity. Classic 1990s Wolverine, bub! 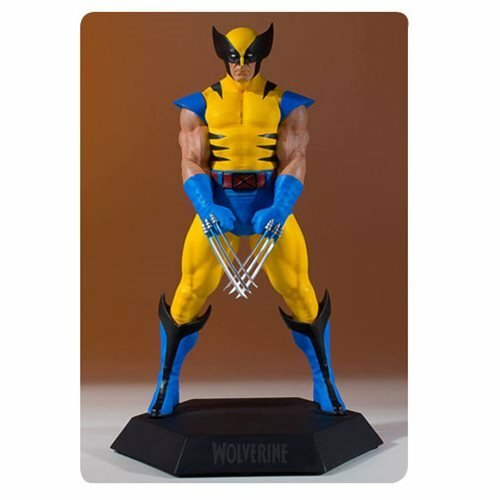 The Wolverine Modern Yellow Collector's Gallery Statue is big, beautiful, and complete with metal claws. His 1992 Wolverine "tiger stripe" costume was popularized for a generation by the long-running X-Men: The Animated Series. 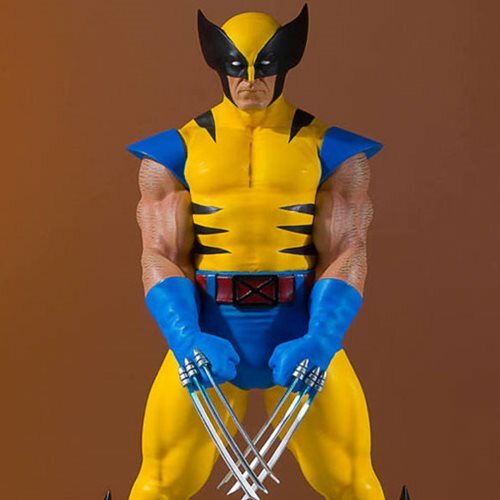 Gentle Giant celebrates 45 years of Wolverine with this superb 1:8 scale polyresin Collector's Gallery statue inspired by the cover art for Old Man Logan Vol. 2 #23. It includes real metal claws and an attitude of being "the best at what he does." The Wolverine 92 Modern Yellow Costume Collector's Gallery Statue is digitally sculpted and hand painted by the artisans of Gentle Giant Studios, and every one comes hand numbered with a certificate of authenticity.